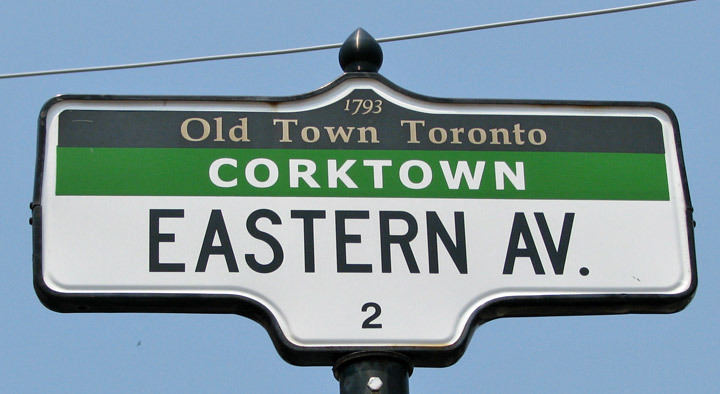 Corktown is an historic Old Town neighborhood in downtown Toronto, Ontario, Canada. 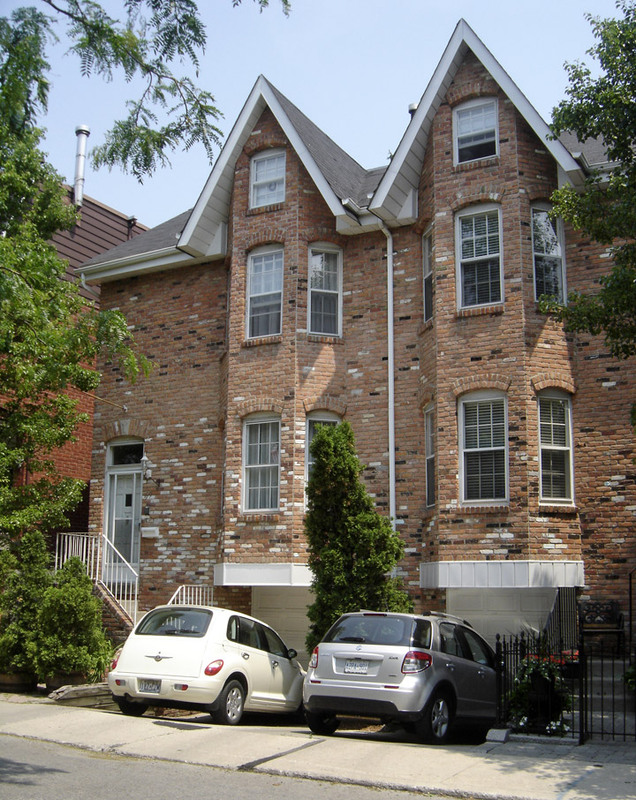 It is just south of Regent Park and north of the Gardiner Expressway, between Berkeley Street to the west and the Don River to the east. 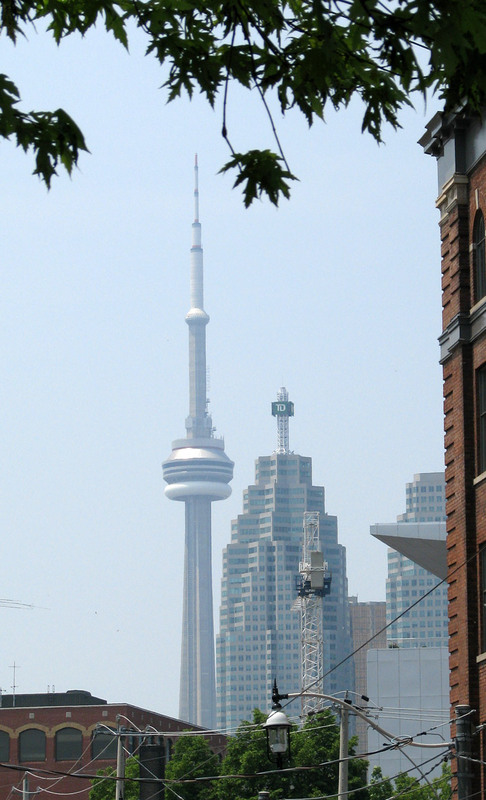 The southern part of this area borders, but is not part of, the Distillery District and contains many vacated industrial buildings, some in use by production and movie studios. The West Don Lands, slated to be redeveloped over the next few years, will encompass the south-east corner of this area. The neighborhood's name derives from its origins in the early 1800s as an Irish ethnic enclave, particularly for Irish emigrants from County Cork, though some say the presence of a distilleries, breweries and cork-stopper manufacturers in the vicinity may have secured the nickname. 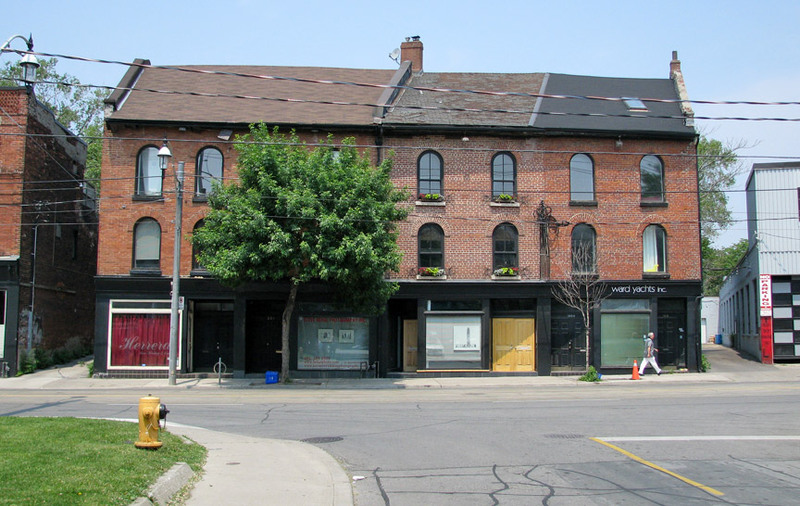 In the early 19th century, most Corktown residents found employment at one of the local breweries or brickyards. 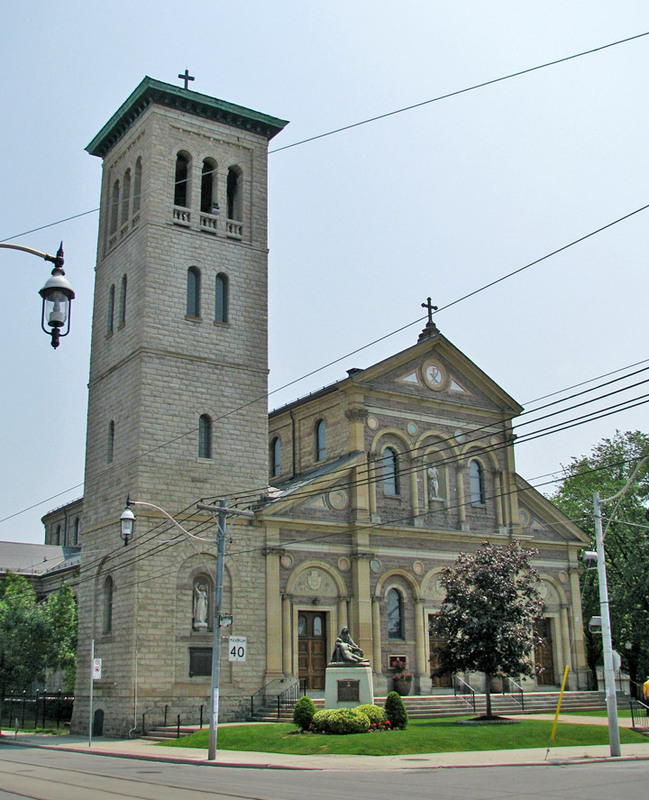 The first Catholic parish in Toronto, St. Paul's Basilica, is found in Corktown. 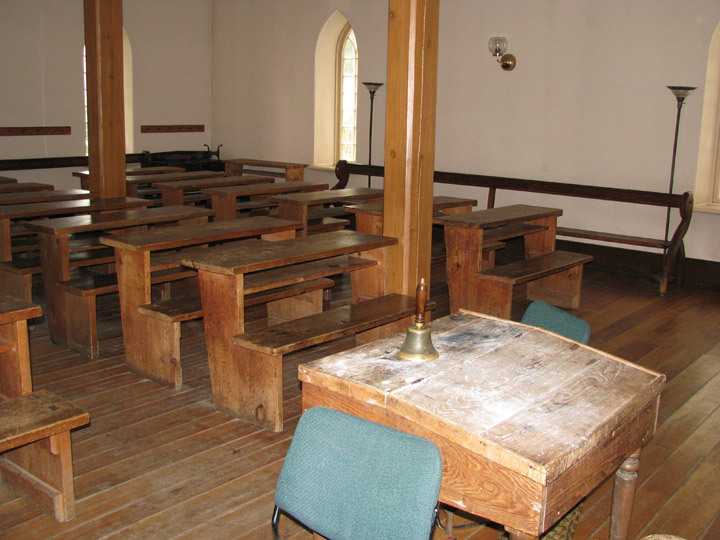 Protestants could not afford the lofty pew rents at nearby St. James Cathedral (Anglican) and this led to the building of their own "Little Trinity Church" in 1843. 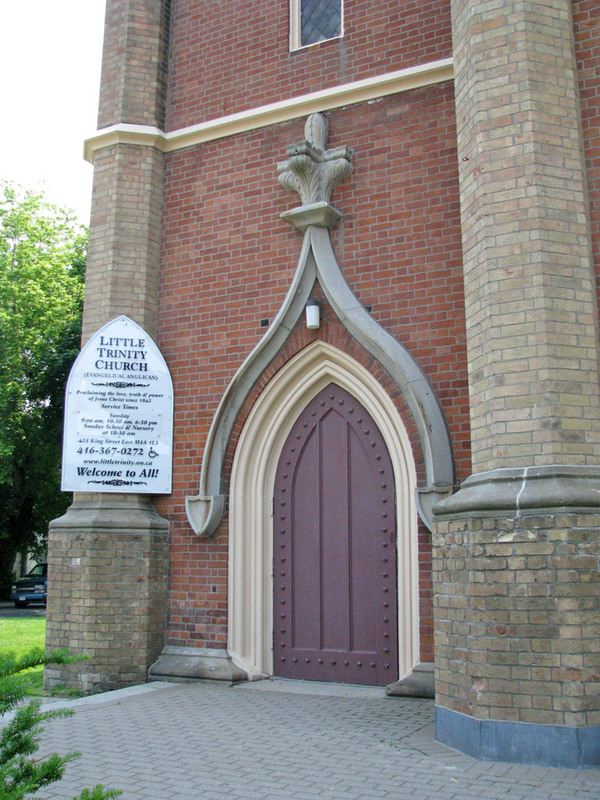 Little Trinity Church is at 417 King Street East. The Trinity Schoolhouse on Trinity Street, just south of Little Trinity Church, was built in 1848. 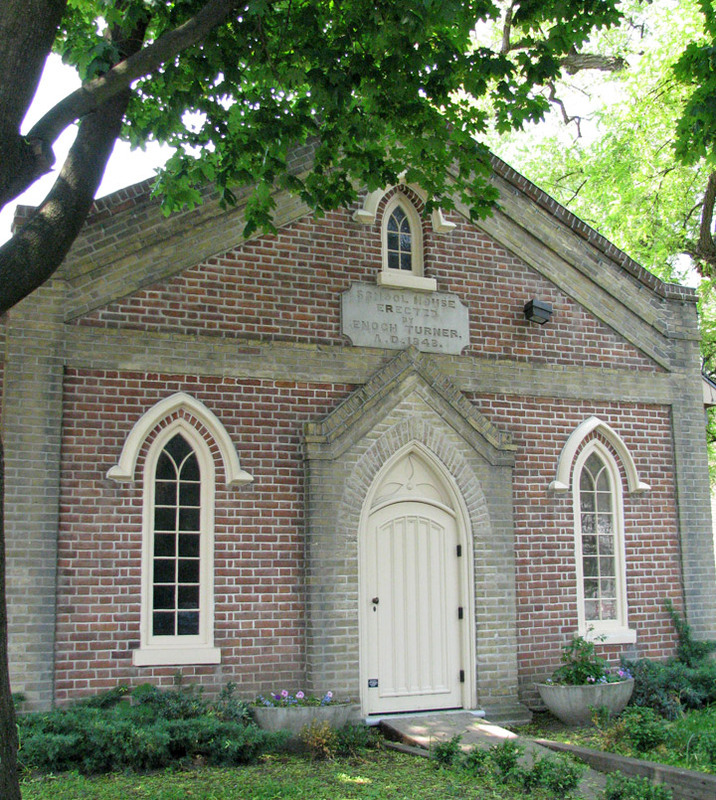 This was Toronto's first 'free school'. 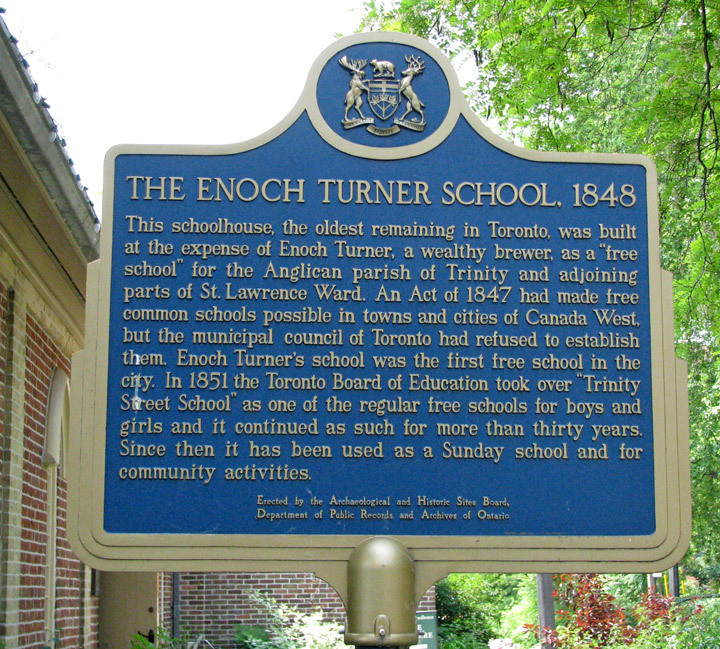 Its benefactor was Enoch Turner, a prominent Corktown brewer, and one of Toronto's great philanthropists. 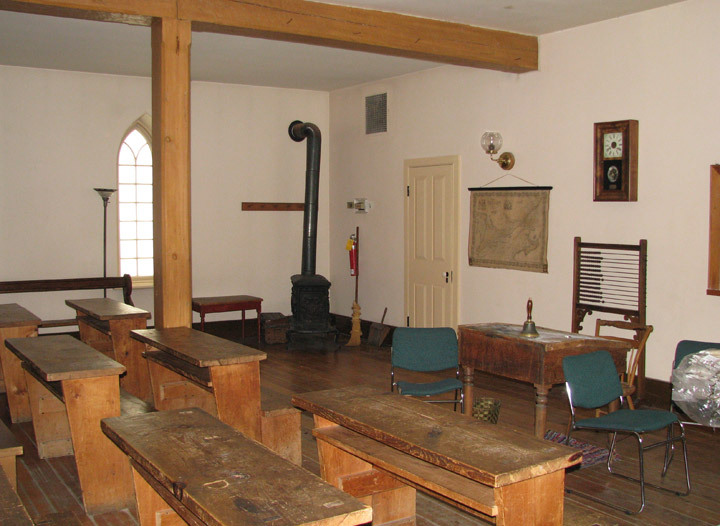 Today children and adults are still educated in the Trinity Schoolhouse, which is now run as a museum designed to replicate a mid-nineteenth century classroom. 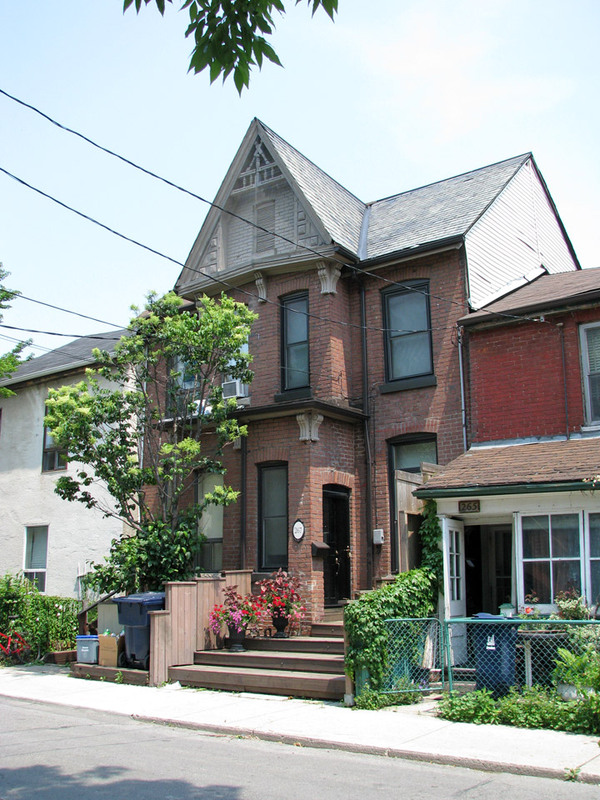 Some of the original workers’ cottages can still be seen in the area, as well as old Corktown’s pretty Italianate church, St. Paul’s Basilica. In the early 1960s, a significant amount of Corktown was demolished to make way for several elevated roadways, including the Richmond Street off-ramp from the Don Valley Parkway and the re-routed Eastern Avenue overpass. 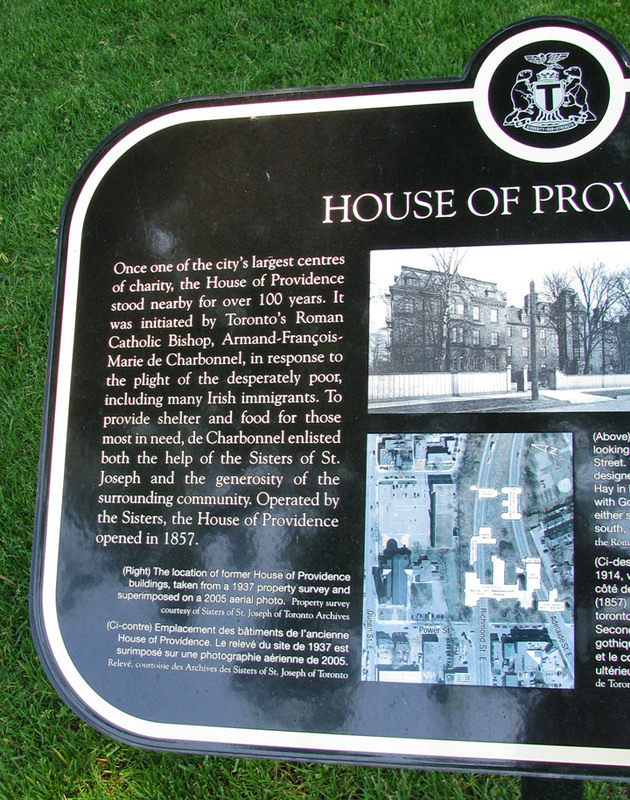 Among the most significant buildings destroyed was the House of Providence (1857-1962), an institution run by the Sisters of St. Joseph to care for orphans and the elderly poor. 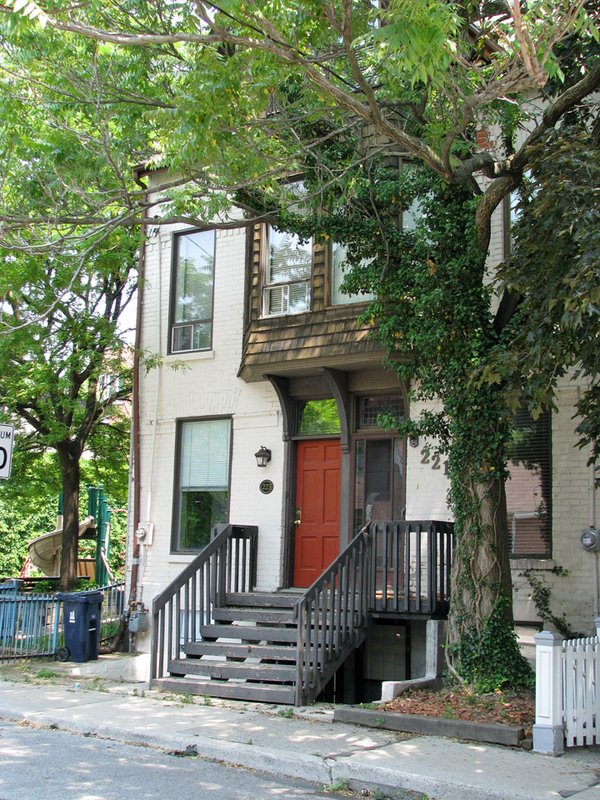 Currently in the early stages of the same sort of regentrification that revitalized present-day Cabbagetown, examples of late 19th century, intimate, quirky British-style row-housing can still be seen lining Corktown side streets such as Bright Street, Trinity Street, Wilkins Avenue, Ashby Place and Gilead Place. 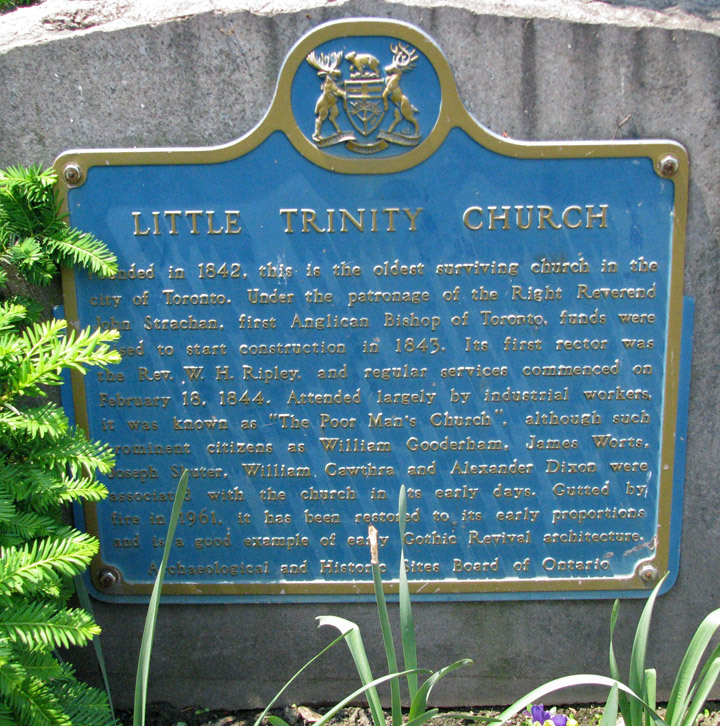 Little Trinity Church just east of King and Parliament is Toronto's oldest surviving church building, its cornerstone laid on July 20, 1843. 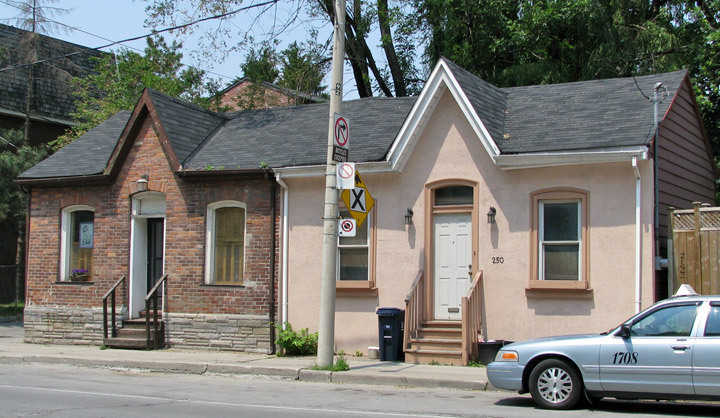 Corktown was also the site of the first Roman Catholic church in Toronto: St. Paul's was originally built in 1822. The current St. Paul's (at Queen St. East and Power Street) dates from 1887. 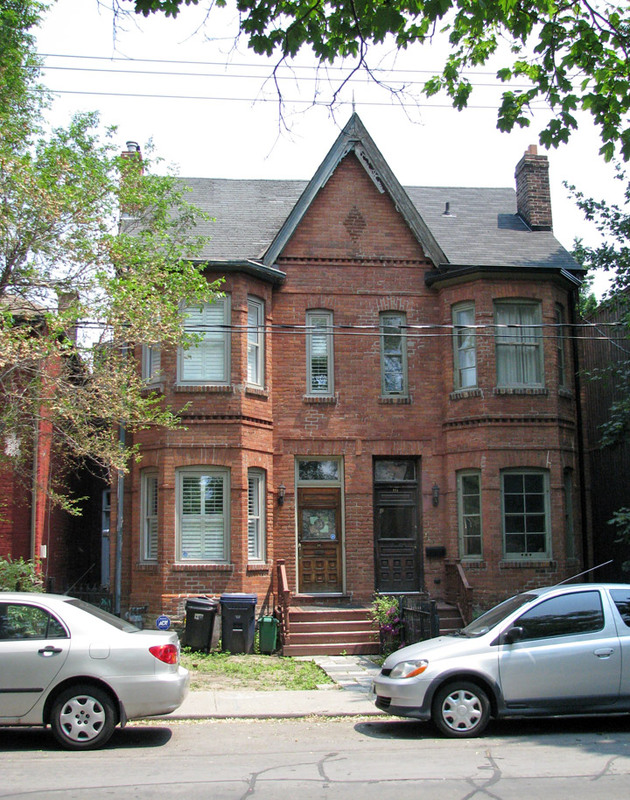 Corktown is also home to Inglenook Community Highschool, one of the Toronto District School Board's alternative schools. St. Paul's Catholic School is the oldest Catholic elementary school in the city, founded in 1842. Beneath its schoolyard and adjacent to St. Paul's Basilica is an unmarked graveyard of Irish victims of the Great Famine. 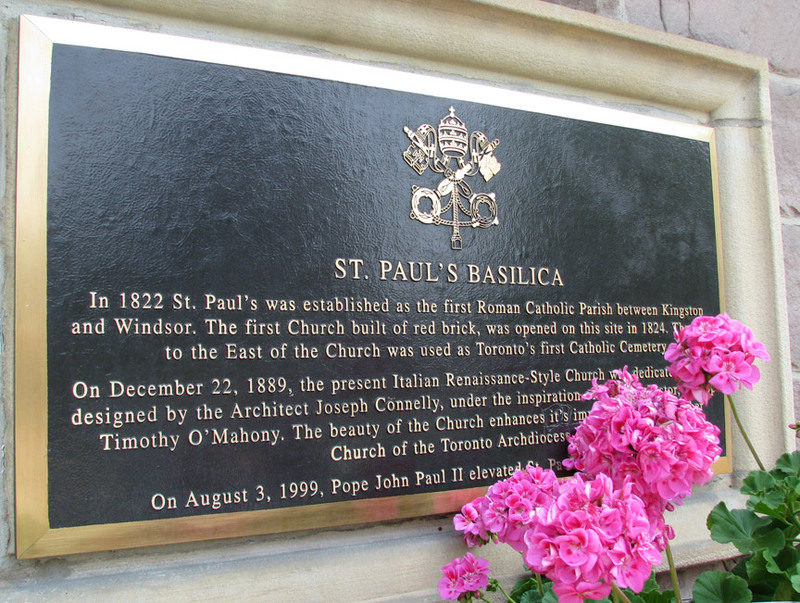 St. Paul's Basilica is the oldest Roman Catholic congregation in Toronto, Ontario, Canada. 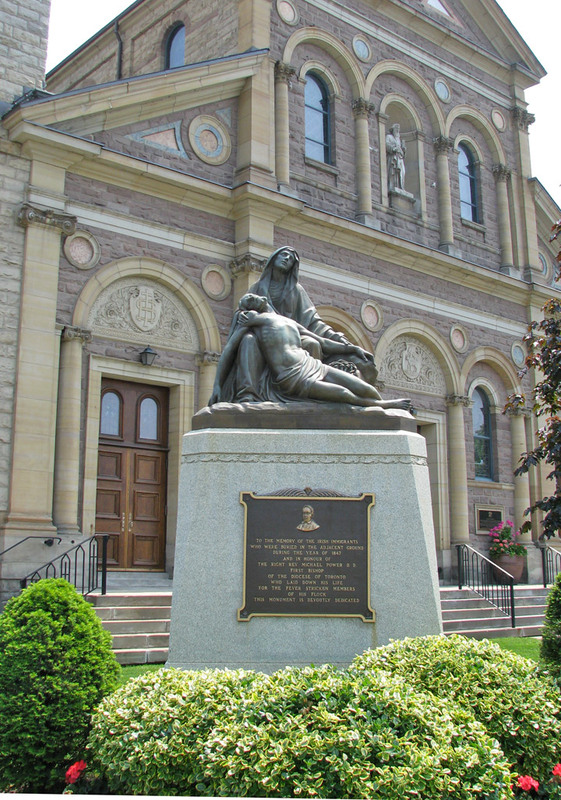 It was established in 1822 by James Baby, when the York region was part of the Kingston Diocese. It was designated a minor basilica by Pope John Paul II in 1999. The church is housed in an Italianate structure built in 1889. 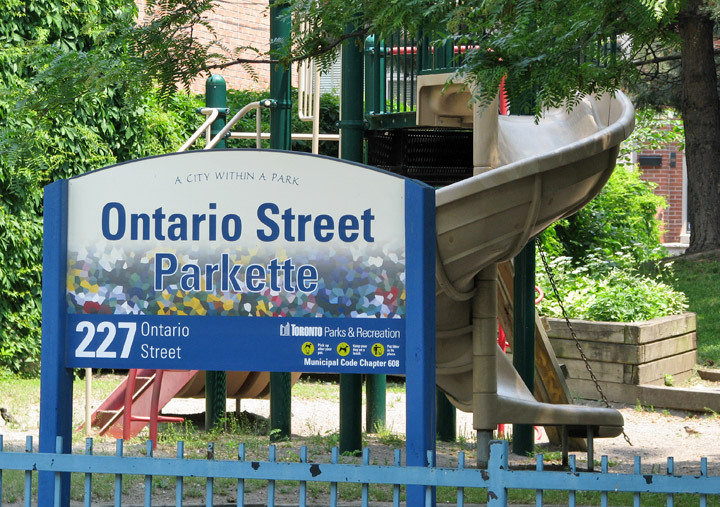 It is located in the Corktown neighbourhood just east of downtown near the intersection of Queen and Parliament streets at 83 Power Street. 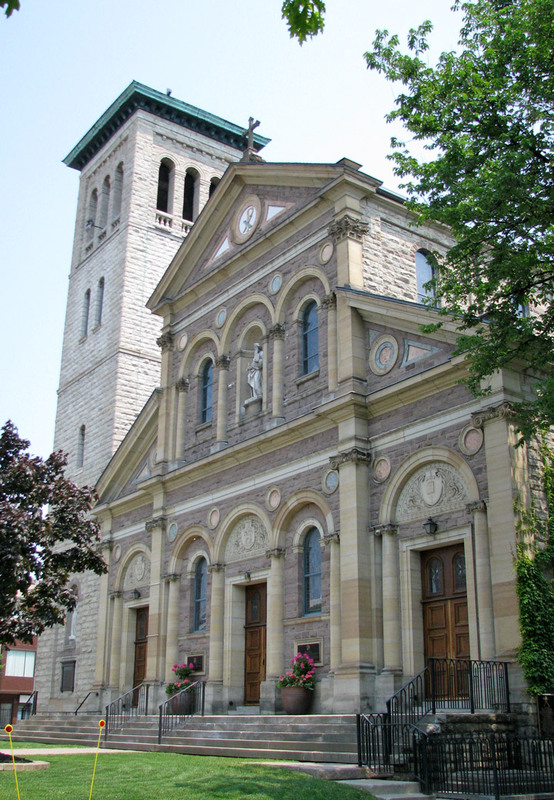 In 1822 St. Paul's was established as the first Roman Catholic Parish between Kingston and Windsor. The first church built of red brick, was opened on this site in 1824. 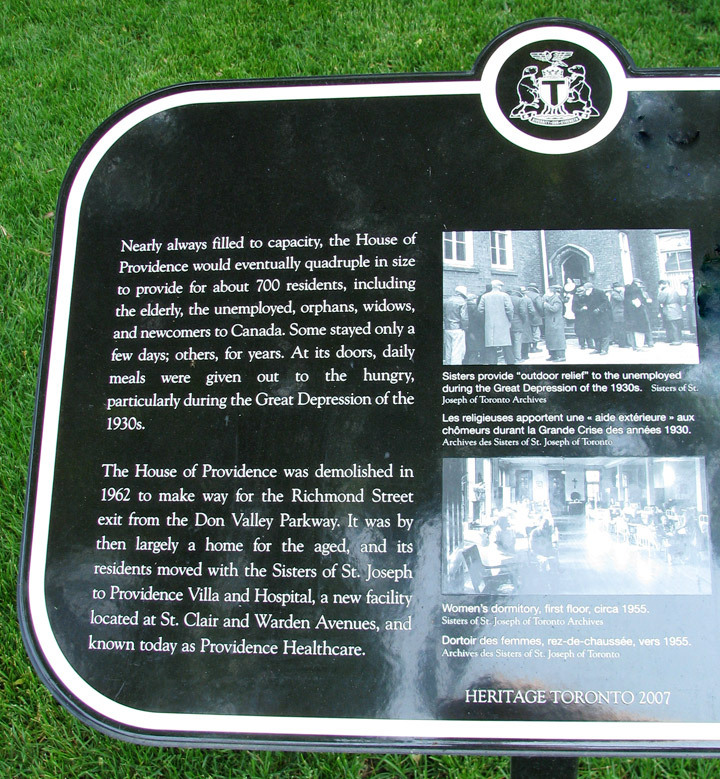 The land to the east of the church was used as Toronto's first Catholic Cemetery. On December 22, 1889, the present Italian Renaissance style church was dedicated. 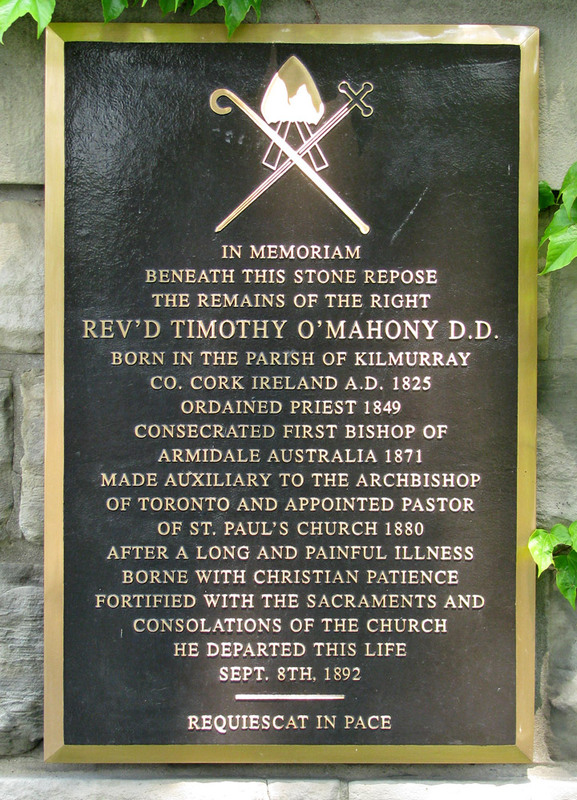 It was designed by architect Joseph Connelly, under the inspiration of the then Pastor, Bishop Timothy O'Mahoney. The beauty of the church enhances its importance as the mother church of the Toronto Archdiocese. On August 3, 1999, Pope John Paul II elevated St. Paul's to Basilica status.